Novotel Cairo Airport is a 4-star luxury airport hotel located just about 5 minutes ride from the airport terminals on the free 24-hour shuttle. Guests can relax under the palms in the courtyard, or re-energise with a dip in the pool. 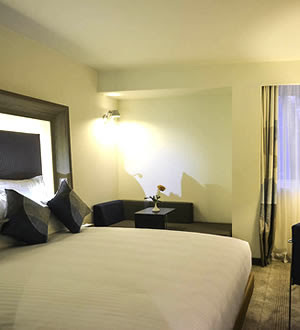 Novotel Cairo Airport is a 20-minute drive from the centre of Cairo and it offers 313 tastefully furnished guest rooms equipped with satellite TV, tea/coffee maker and private bathroom with a hairdryer. Also available are 2 outdoor pools in the landscaped garden, free Wi-Fi and free airport shuttle can be arranged by the hotel. 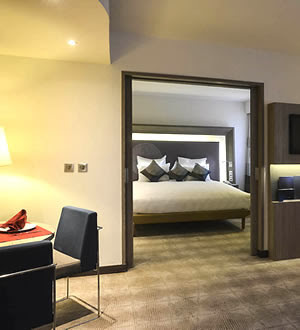 Novotel Cairo Airport also offers a business centre, a 24-hour front desk and car rental. The hotel’s 5 restaurants serve international and Mediterranean cuisine and 2 bars. Guests can enjoy live music with cold drinks at Le Rendez-vous. Guests can also enjoy a workout at the on-site fitness centre or a game of tennis on the court. This is one of Egypt‘s best airport hotels. Popular nearby tourist attractions include Egyptian Museum, Sakkara Pyramids, the Giza Pyramids and the Sphinx. 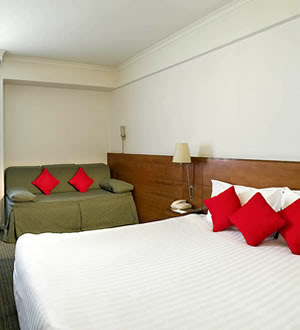 1 Double Bed and 2 Single Beds spacious standard rooms are available. Each room can take up to 2 adults and 2 children. Large, well-designed, the suite includes 1 bedroom, 1 living room & 2 bathrooms. It offers unbeatable facilities: 2 TV’s, free WiFi and tea & coffee making facilities. Cairo Airport Road, Heliopolis, 11776 Cairo, Egypt.